One of my favorite parts of most literary festivals and events is meeting fellow writers and being introduced to their work. I've discovered some great books this way: Teal Haviland's paranormal fantasy Inception, Sarah Ashley Jones' NA (New Adult) romance Promise Me This, and Chervis Isom's creative non-fiction The Newspaper Boy. The Birmingham Public Library's 2014 Local Author Expo on February 1 was no exception and allowed me the opportunity to discover Mark of the Corripian by YA fantasy author B.H. Parker. On a world inhabited by humans and the native race called the Kairian, everyone is born with a super human power. After a human girl witnesses a murder, she is forced to leave her home to find protection. However, the young man sent to watch over her has an agenda of his own: he is searching for two years of his lost memories, and finding them may just mean forgoing the girl's safety. Amidst it all, an ancient prophecy foretelling a war between the human and Kairian is coming true, and the only one able to prevent the two races' destruction will bear the mark of the Corripian. The cover of Mark of the Corripian drew me in immediately, the way a great cover should. As a huge fan of Veronica Roth's Divergent trilogy, in which a faction of Roth's dystopian society are marked with tattoos that both identify and set them apart, I wondered what would set Mark of the Corripian apart from the slew of dystopian series out there. While the book does contain some elements of the genre made popular by such works as Divergent, Lois Lowry's The Giver, and Ally Condie's Matched trilogy, the story takes place on a distant planet, making it heavier on science fiction and reminding me in ways of Homer Hickam's Crater series about teens sent to mine the moon. In short, Mark of the Corripian promises to present readers with everything that they love about my favorite genre with some unexpected surprises. It looks to be a refreshing departure from what can sometimes tend to feel like another hero/heroine's retelling of life after the great utopia begins to come undone. Parker also uses dual point-of-view for her narrative, and the story of Mark of the Corripian unfolds from both lead characters', Zenia's and Xavier's, perspectives. Impressed with the book, and because I am a natural born snoop, I had to learn more about its author B. H. Parker. It thrills me to see the very young exhibit the kind of imagination, talent and determination necessary to see a novel through from conception to publication. Without further adieu, I'd like to introduce you all to Miss B.H. Parker. For a chance to win a copy of her excellent debut novel Mark of the Corripian, be sure to leave a comment in the comments section. A winner will be chosen at random on February 28th and the book shipped thereafter. I have enjoyed making up stories since I was very young. With all the uncertainties of this life, there’s just something remarkable about being able to create a story in which you decide how it ends. Also, I like solving problems, and a book to me is like a big puzzle. All the pieces are floating around in my head, and if I can just put them together in the right way, they complete some beautiful picture. At least, that’s what I’m going for. 2. What inspired your novel, Mark of the Corripian? What makes it special? That’s a good question…especially considering the creation of Mark of the Corripian was somewhat an accident. I would have to say the inspiration came from a few of my close friends, since the story began as something I wrote to entertain them. I pulled together a little bit of everything and put it in this book because my friends all have different interests, and I needed to create something they all enjoyed. If it weren’t for them and their encouragement throughout the process, MotC would have never been more than a few chapters of my silly rambling. I’d say that this novel is special because it has helped me to grow personally. I’ve always kept to myself and never really enjoyed social situations of any kind. Writing this story has allowed me to open up, and I’ve found a new way to express myself. These characters have become my best friends; they’re people I can relate to—and in some ways, their actions help me to sort out situations in my own life. It has been a long journey for me, but I wouldn’t trade it for anything. 3. Could you tell us a little about your main characters Zenia and Xavier? What was it like writing their story? The story begins on Zenia’s 18th birthday. She has been raised in a totalitarian society where everything in her life was planned out for her from the beginning. She is used to being told what to do; however, since the death of her father, she’s begun to question the authorities. She’s always very aware of those around her, and is often the first to help if someone is in need. She can be seen as naïve at times, mostly because she always searches for the good in people instead of looking at the whole picture. She can be very hardheaded, as well—and when she’s determined to do something, she won’t let anyone stand in her way. Unfortunately, she doesn’t always consider the consequences to her actions, so she can get herself into some complicated situations fairly quickly. Thankfully for her, her Ability allows her to run at incredible speeds, which can come in handy when needing to escape from one of these tricky situations. Xavier is a young man with a very complex past—one he doesn’t fully understand. Certain events from his life have shaped him into a very cynical and guarded person. He is detached from the world around him because he believes that is the safest way to live. Ironically, his Ability allows him to sense and manipulate other people’s emotions—a power which he only knows how to use to profit himself. Their story has been an intriguing one. Many authors call their characters their “children,” but for me, Zenia is that best friend that I love but can’t stand because she always calls me out when I’m doing something stupid, and Xavier is that annoying, overprotective, but altogether awesome older brother. Overall, writing their story has been a very entertaining journey. Since it is my hobby, and not what I hope to make into my chief form of income in the future, writing is something I go to when I need to vent my feelings or just relax after a long day (the latter option can get a little rough because occasionally I forget that my body requires sleep, and I’ll write well into the night). The characters and I don’t always get along…sometimes writing their story becomes frustrating, but so far we’ve always worked through our problems! 4. You’ve done extensive world building in Mark of the Corripian. What was your process for such a complex task? I’m very focused with details. I like to know where things come from, why they are the way they are, et cetera. Because my story is based on a different planet, I first needed to understand the planet’s physical appearance. After mapping out the world, I started on the history. I first established the different cultures of the people and their ways of life. That helped me to understand why one thing led to another in the formation of the current world. On Macathia, there are essentially four different societies, each with unique characteristics. I’ve made detailed histories of both Kairian (native race of Macathia) societies, and briefer histories of the human societies. Also, since everyone on the planet is born with an Ability, I have graphed out the different types of Abilities, their weaknesses, and strengths. Aside from that, I have created a new language of sorts for the Kairian people. Most of the words have Latin roots, but some of them I just made up. 5. Your book has an excellent cover—everything from the color to the depicted image draws a reader in. Can you tell us how involved you were in the process of cover selection/design? The cover was a fun process for me! Aside from writing, I have an interest in art, so I had a very, very specific image in mind for the cover—and what I got on Mark of the Corripian pretty much sums it up. I worked with a graphic designer outside of my publishing company to come up with the cover. I designed the mark on the girl’s neck, and the color red plays an important role in this story. If things go according to my plans, each book will have a different color associated with it. 6. What would you say was the biggest lesson learned on your journey to publication? I was really excited when I finished writing Mark of the Corripian, and my father wanted me to go ahead and try to publish it. I decided to go along with it, and I hadn’t even edited the manuscript yet. I know—that’s bad. But I didn’t have any idea at that point what went into publishing a book, and I was more interested in focusing on schoolwork (yeah, I’m a nerd) than researching all the things to do before trying to get published. Fortunately (or unfortunately, depending on how you look at it), my very raw manuscript was accepted by a publishing house. For me, this meant an extensive amount of editing over the next 8-10 months and a lot of stress. I cut nearly 40,000 words, most of which I would have edited through myself, had I taken the time after I’d finished writing. I even changed parts of the storyline because I hadn’t previously checked for any discrepancies throughout after finishing it. Now I know from experience that it is always a good idea to first edit, edit, edit, and always research before jumping into anything. I’ve always heard authors give the advice to read. I don’t disagree with that, but I think it helps to broaden one’s horizons, so to speak. Watch movies. Play video games. Read comic books and manga. Read books or watch movies from other countries. I’ve learned so much from doing all these things, and I’ve even gotten some ideas that I’ve used in my stories. I’m a very visual person, and I often struggle with feeling like I’m a part of the books I read. Whenever I’m planning out a fight scene, instead of reading about it, I typically like to act it out or look up a movie/video in which the moves are demonstrated. While planning out the strategies for the oncoming war in my series, I’ve not only read about war, but also watched movies and played video games in which war was depicted. Now, if you’re like me, and you begin stories that you lose interest in, or you decide they are stupid and you want to throw them out, DON’T. Always, always, always, keep everything you write. When I’m editing through my stories, if I decide a scene needs to be omitted, I don’t just hold down the backspace button. I cut the words and paste them in a separate file (mine is named “random story stuff”) because one of these days, I might want to use it. And even if I don’t, it’s always fun to go back and look at how far I’ve come from when I began writing—I still have my very first chapter of Mark of the Corripian, back when it was made up of Zenia’s journal entries. If I had stopped there—it was really rough, and at the time, definitely not the quality worthy of becoming a novel—Mark of the Corripian would not be where it is today. 8. Do you have any other books in the works? What are your future goals? The Corripian Chronicles is a four-book series, plus a fifth book with different protagonists. I am currently 40,000 words into Book 2 (secret title), and this is my second round at writing it. I had previously written around 70,000 words when I decided that I didn’t like the way I had constructed it, so I scrapped it all and started over. I have the overall idea for book three and four, and I have written a few scenes from each. I’ve begun constructing and becoming familiar with the characters in book five, though I’m still working out the overall plot. As for future goals, I want to completely finish this series before I start on any other works. I have one story in mind that I’m very excited to write, but it will require much research (a lot more than I’m used to). I will also be straying away from my preferred genre, so this will be quite an adventure for me. Aside from writing, I’m double majoring in Criminal Justice and Psychology, and I hope to work in corrections or some form of counseling. 9. Where do you like to write? I like to write anywhere I can drown out the world (either in silence, or alone with my earphones in). I’ve tried writing outside, but I get too distracted by the beauty of the world and often end up just staring up at the sky and listening to the different sounds of nature. I typically like to be alone because I get so focused on my writing that I often become very emotional—whatever the mood of the scene is. There have been times when I’ve scowled at my computer screen, been on the verge of tears, or laughed out loud. In order to avoid curious stares from passersby, I stay away from people during this time. 10. What is your favorite genre to read? Favorite Authors? I’m partial to science fiction/fantasy books, though I am very particular about what kinds I read. If there isn’t a certain something in them, I will often have trouble finishing them. I also really enjoy reading stories about Roman or Greek mythology and different kinds of fairy tales. My all-time favorite author is C.S. Lewis. I used to love dogs, but then I got one…and he hates me. So cats it is! I have quite a sweet tooth…and I often prefer to eat my dessert before dinner. 13. What is the best thing that ever happened to you? I’m going with the first thing that came to my mind: A couple weeks ago, I met a group of ten Korean students who are visiting my university for three weeks. Since then, I have grown close to many of them. I’m very fascinated by their culture and customs, and I’ve enjoyed learning some Korean words. We do many things together, and I will be so sad to see them go! This experience has definitely been a highlight of my year. B.H. Parker has always been fascinated with superpowers, so she created a world in which everyone has them. She spends her time purchasing more pens and sticky notes than she can ever use and doodling or writing fictional stories when she should be finishing her homework. 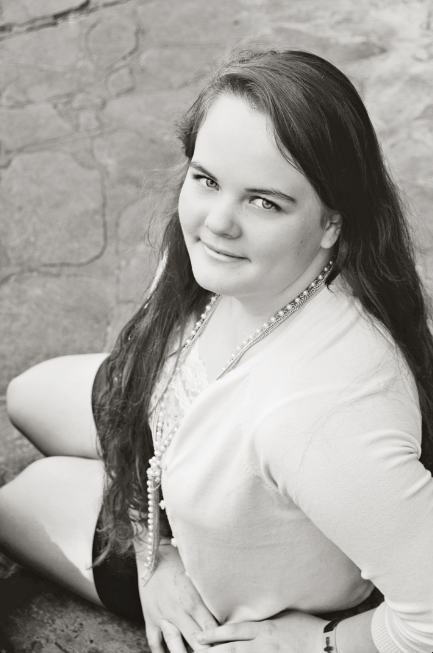 She is a native of Birmingham, Alabama, but currently attends Freed-Hardeman University in Tennessee and is double majoring in Criminal Justice and Psychology. You can find her on Wordpress, Facebook and Goodreads. 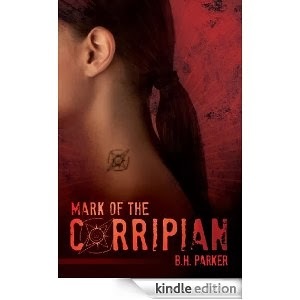 Mark of the Corripian will be available through Tate Publishing, Amazon, and other online book retailers beginning February 25, 2014.